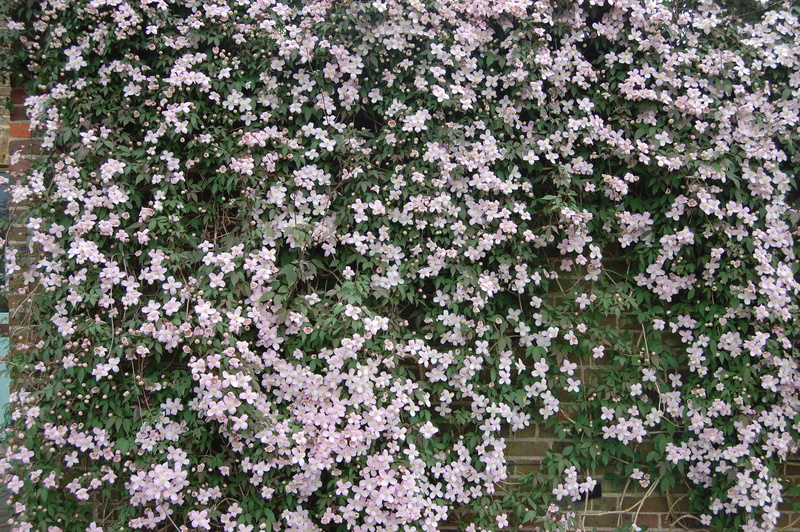 Clematis montana is a deciduous climber with a twining habit. The foliage is mid to purplish-green, composed of three lance shaped to broadly oval serrate leaflets. The inflorescence is borne on the previous years growth in mainly single, small, flattish, white flowers. 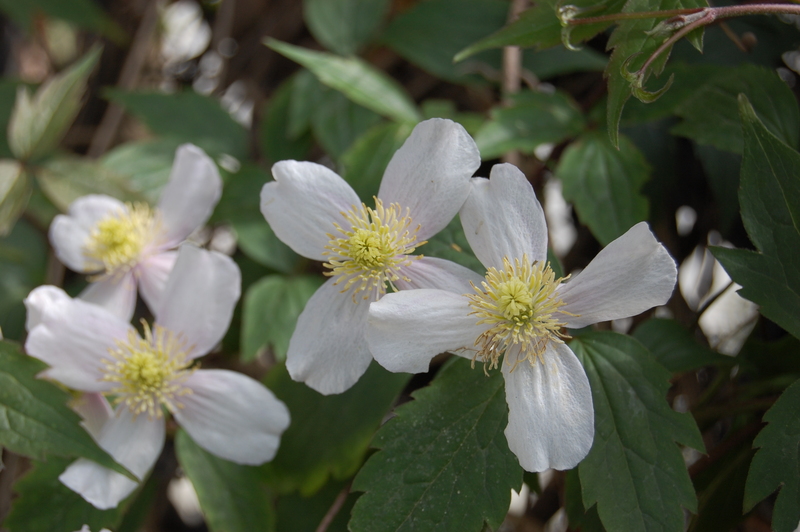 Clematis montana, commonly known as the Anemone Clematis, is native to the Himalayan Mountains. It was discovered in 1818 and was first introduced to Europe in 1831 by Lady Amherst. The etymological root of the binomial name Clematis is from the Greek klema meaning a ‘vine branch’, alluding to the vine like habit of the climbing members of the genus. Montana is derived from the Latin meaning ‘of the mountains’. 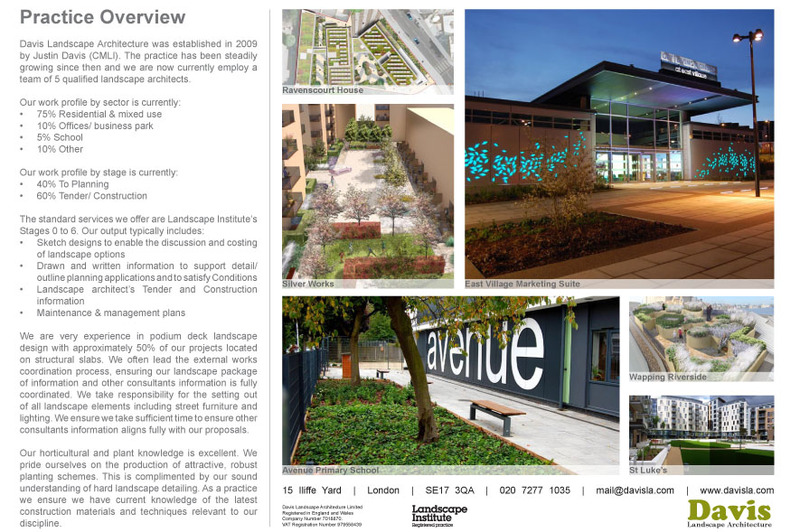 Due to its climbing habit and rapid growth rate Clematis montana can be useful to the landscape architect along boundaries where planting is required but space is limited. A framework for this plant to cling to is necessary as it is a twining plant. 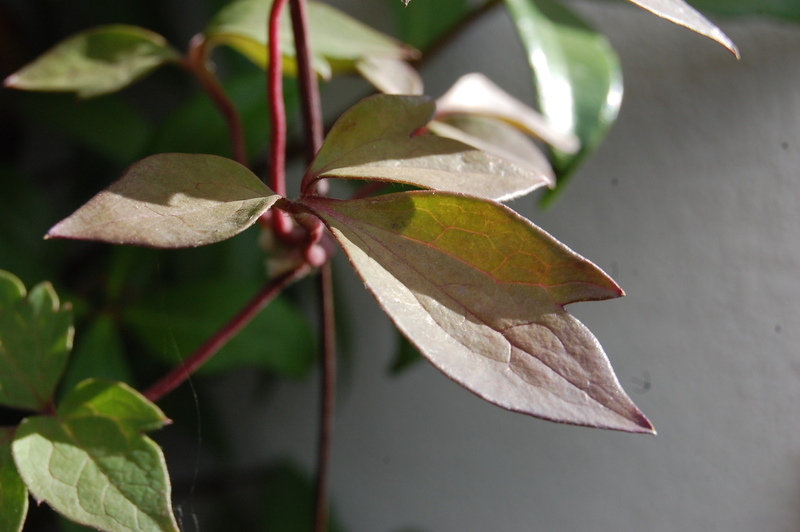 As with most climbers this plant prefers cool roots and sunny foliage. Ecologically, Clematis montana will attract pollinating insects such as bees who will feed on its nectar. The Royal Horticultural Society has given the variety Clematis montana var. grandiflora their prestigious Award of Garden Merit. 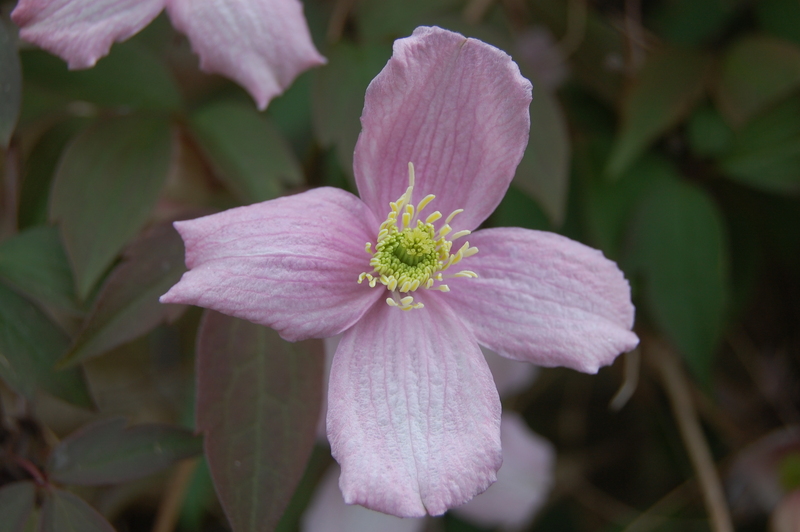 Clematis montana prefers moist, fertile, well-drained soils. 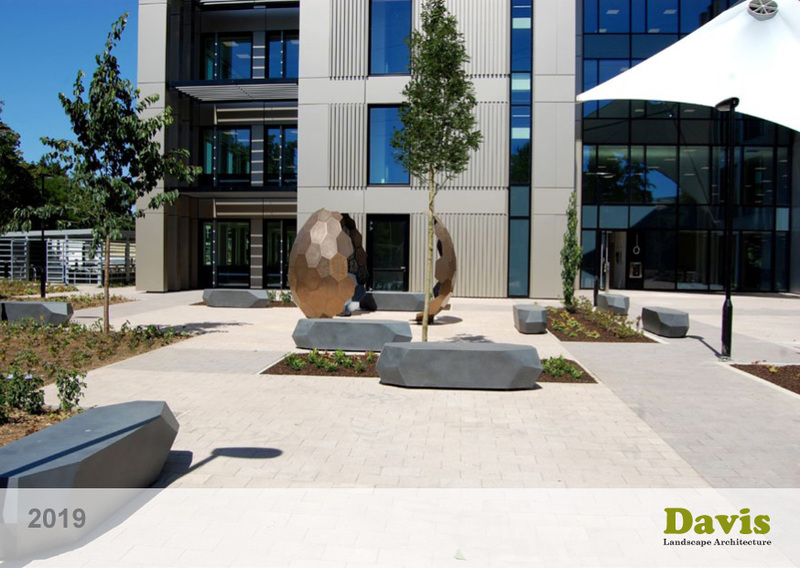 It tolerates most pH of soil. 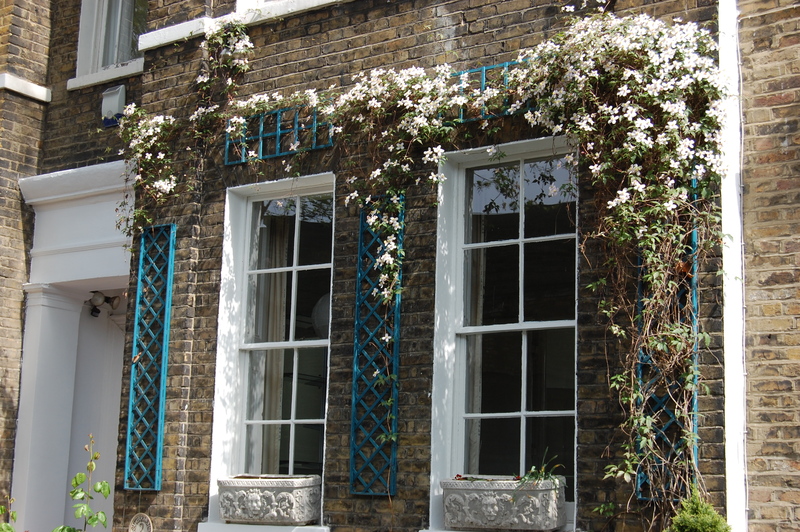 Clematis montana should be pruned after flowering to encourage new growth for next season’s flowers. This plant, interestingly, will produce more flowers when grown horizontally.